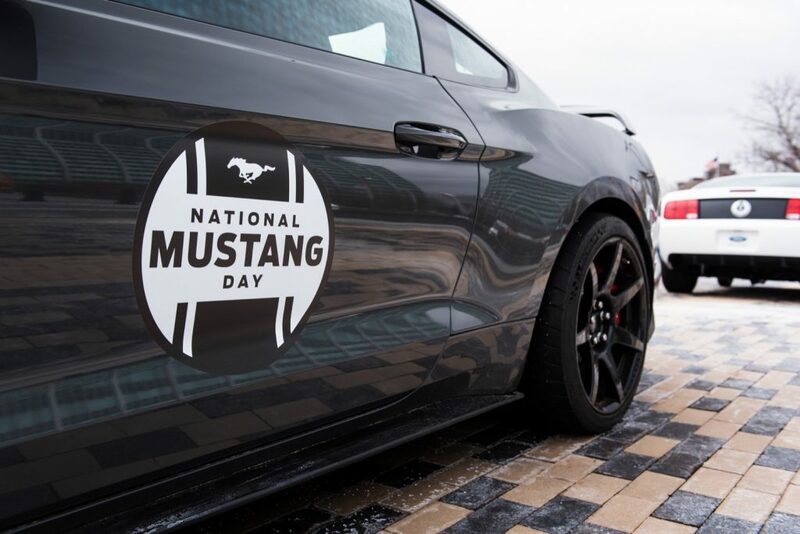 The Ford Mustang V6 was discontinued after the 2017 model year, leaving customers with just two engine choices: the 2.3-liter EcoBoost four-cylinder, and the 5.0-liter Coyote V8, besides the high-performance Shelby GT350 and the new-for-2020 Shelby GT500. In February, we reported that a new engine may be coming for the 2020 Mustang. Now, sources familiar with the matter have told us that the 2020 Mustang will introduce an entry-level performance variant. The current Mustang lineup is great in its own right, but with only two engine choices, there is a fairly significant power difference, and a big price gap, too. Meanwhile, the Chevy Camaro offers three engine choices – a turbocharged 2.0L inline-four as the base engine, a naturally-aspirated 3.6L V6 as an option, and a naturally-aspirated 6.2L V8 in the Mustang GT-fighting Camaro SS. Notably, the 2019 Camaro introduces the 1LE Track Performance Handling package on the 2.0L turbo model. At the moment, we’re not exactly sure what will power the new entry-level performance Mustang, but it could be a higher-output version of the 2.3L EcoBoost I-4 engine. The rumored, new 2020 Mustang model would slot between the base Mustang EcoBoost and the Mustang GT – and charge a few thousand more for the added power and performance. Currently, a 2019 Ford Mustang EcoBoost starts at $26,395, while a barebones Mustang GT starts at $35,355. So there’s a lot of room to price an “entry-level” performance Mustang. Ford offers a $2,495 performance package on 2019 models that includes a Torsen limited-slip differential, larger wheels, performance summer tires, larger brakes, and a larger rear sway bar, among other things. We suspect that this new, entry-level 2020 Mustang performance model will take it a step beyond the content in the performance pack by turning up the boost. It’s possible that Ford will announce details at the upcoming 2019 New York Auto Show later this month, which starts for the media on April 17th. Ford Authority will be on site in New York to keep you up to speed on all of the latest Ford developments. So be sure to subscribe to Ford Authority for the latest Mustang news and around-the-clock Ford news coverage. The Cyclone V-6 was built with the idea of adding more powerful variants. My idea of a different performance package would be 350 HP, the best handling package, the best braking package and adding in the two middle gauges for oil pressure and voltage. The Cyclone could handle that kind of output with aplomb. For less drivetrain loss, a one-piece carbon fiber driveshaft, lighter wheels and a change in a pulley would give more RHP. Top off with the usual mods like lower restriction air intakes, larger throttle bodies and a freer-flowing exhaust. Call the whole shebang the Mach I. 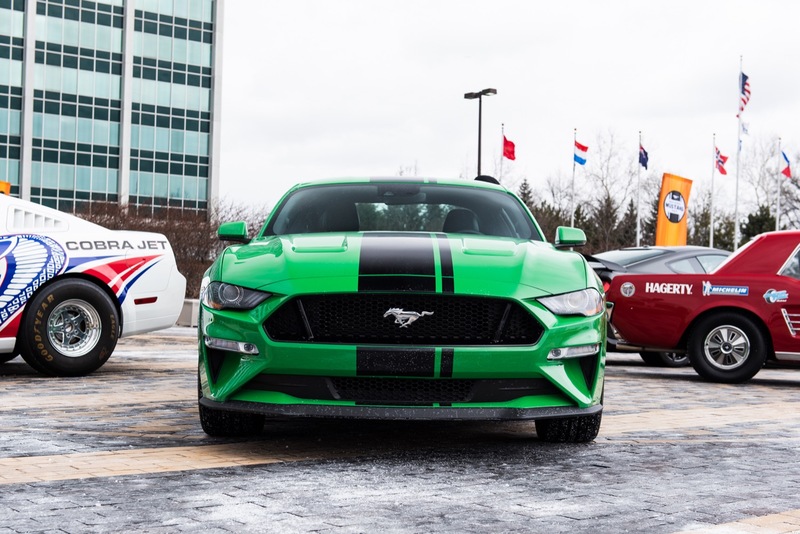 Let the GT series (GT, Bullitt, GT350, GT500) be the living life a quarter mile at a time car and the Ecoboost as the base model with options for handling upgrades. For a well balanced daily driver, this Mach 1 idea strikes me as a good one. Then sit back and let everyone who wants a Mustang find their niche in the corral! I would venture that it will be the first mustang to wear an ST badge. Since Ford has killed all cars in North America except the Mustang and no one is excited for the ST SUV’s, this is a logical choice to get ST lovers to buy Mustang. Ecoboost :350hp/350tq 2.3L Ecoboost. Ecoboost mustang should get a SVO variant that comes equipped with the factory Mountune/Ford Performance M400 package that give it 395hp along with a Shelby GT350 suspension and brake package along with unique SVO bodywork, wheels, interior and exhaust system. along with that the SVO package should allow owners to choose from the regular 10-speed auto or a 7-speed DCT. GT: 495hp/475 5.2L Coyote Gen-4. Gen-4 coyote to receive the GT500 block and crank with GT specific rods and pistons, Gen-3 heads & specific valvetrain for new engine setup. A new exhaust system should be present on this car with a true dual exhaust with center resonators and a transverse rear muffler set with optional exhaust modes. GT owners can opt for the Mach 1 package which adds an upgraded induction system from the GT350 including the intake manifold & throttle body, Mach 1 specific induction tube which would go a long with the functional Ram air hood (optional on non mach-1 GT mustangs without the Mach 1 graphics pkg), Mach 1 specific ECU Calibration (combined with everything bumps power to 520hp) Mach 1 specific exhaust that still keeps the transverse rear muffler style but offers a set of GT500 exhaust manifolds and catted mid-pipe with larger, free flow center resonators and a 2-chamber rear transverse muffler with active valve tech, DCT 7-speed, carbon fiber driveshaft, electronic differential, GT500 suspension and brakes, mach 1 specific wheel package, Mach 1 aero upgrades (front lip, side splitters, rear diffuser, Mach 1 ram air hood, Mach 1 spoiler), HD engine and trans cooling, Mach 1 specific interior, performance Rockford fosgate amplified speaker stereo system w/subs standard. The GT/CS package mustang will have a suspension and brake setup similiar to the current Performance Pack-2 mustang but with unique GT/CS 20″ wheels and tires, a graphics package, an aero pacakge, interior package, the same rockford fosgate stereo system as the MAch 1, etc. Cobra: 735hp 5.4L Predator Gen-2: Current GT500 with larger displacement w/ unique exhaust system that had side exit pipes for maximum flow and sound that open up on race mode exhaust. I’m actually looking forward to a mid-cycle refresh to the S550 Mustang in styling and everything else. To be honest, I would love to see the S550 refresh be something like the BMW M850i but obviously still mustang at the end of the day. Something a little more svelte like the SN95 mustang but still have enough of and edge to say it evolved from the current S550 (hence the M850i comment) The interior needs to be an evolution of the current mustang with updates like a 12″ infotainment screen, 12″ digitial dash, a redesigned steering wheel (4-spoke evolutionary blend of the FR500 steering wheel with something still new and modern) upgraded touch surfaces, etc. This would be a great lineup for the mustang untl we see what happens with the S650.